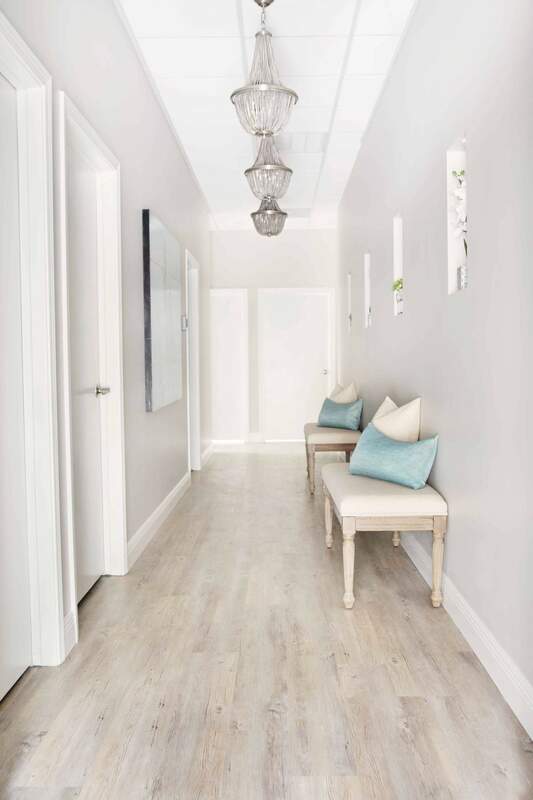 Though residential projects are our first love, we do appreciate the occasional challenge of a boutique commercial space! 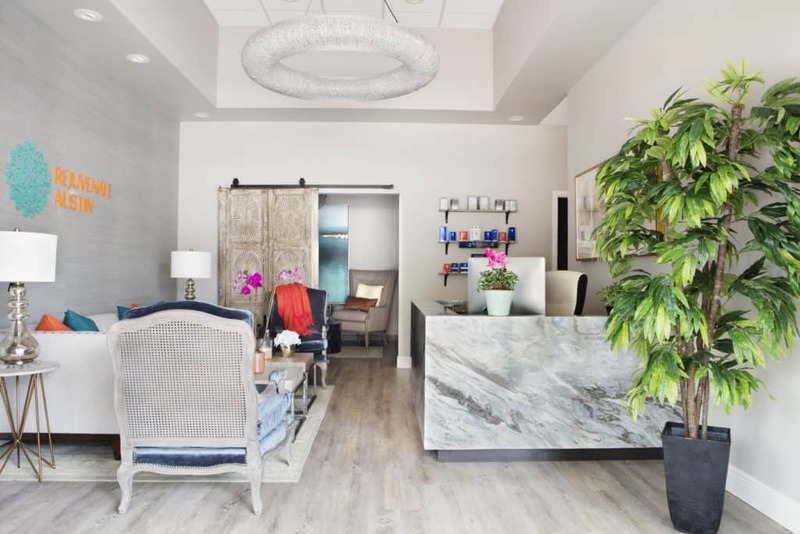 Jessica Sanders of Rejuvenate Austin entrusted us with her Medspa in Westlake, which was transitioning to a new location that was formerly occupied by a hearing aid company. 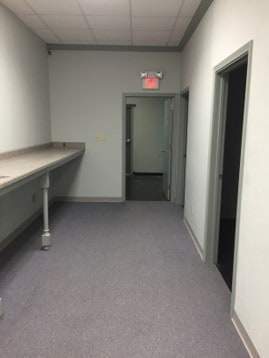 This not-so-glam, dark and dated space was in need of a MAJOR overhaul, starting with the dated glass block wall at the business entry. 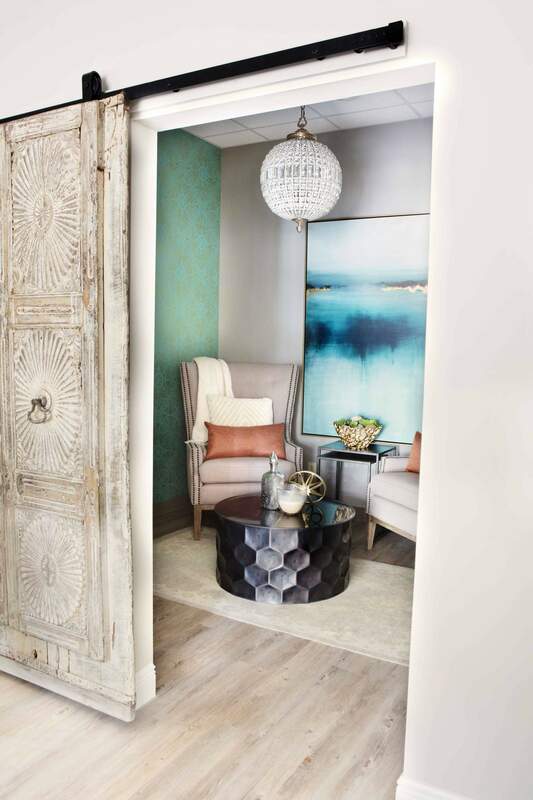 Jessica wanted the high-end look of a light and bright space, with unique accents and textural materials throughout. At the entry, we removed the glass block wall and opened it up to have clients be greeted by a beautiful custom-made waterfall-edge marble reception desk. 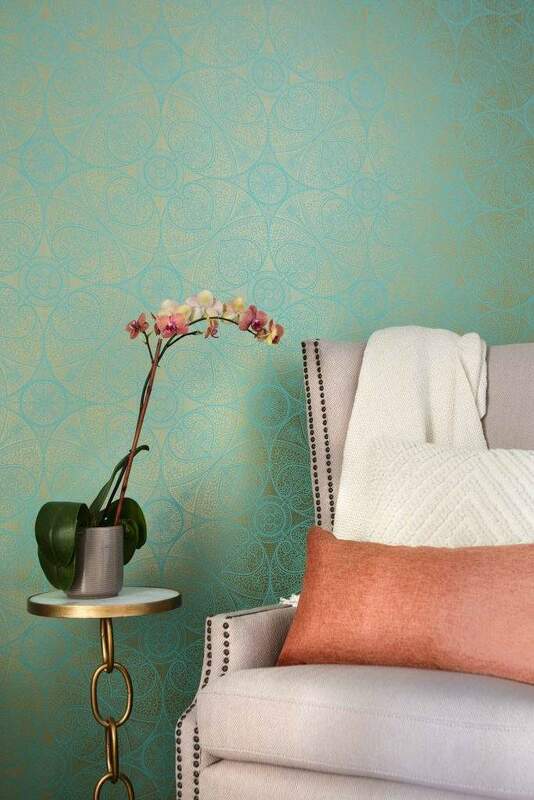 A textural wallpaper was added along the main wall of the reception area, with a custom-designed acrylic logo placed just above the sitting area. 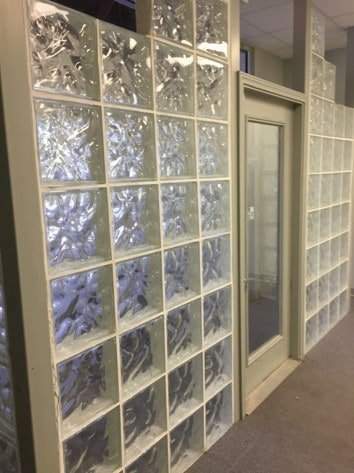 A unique vintage door from an old temple was made into a sliding door at the entry to her ‘Relaxation Room’. Not only was this a fabulous focal point for the main reception area, but it adds so much character and uniqueness to the space. Along the main hallway, we added a series of chandeliers and wall niches to break up the monotony and add some visual interest. 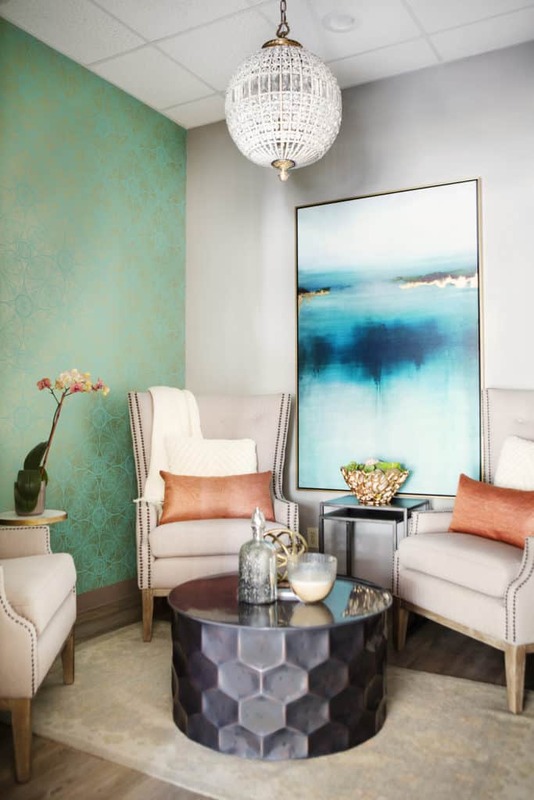 Though we love all of the unique elements which were incorporated into this space, our favorite design addition was definitely this colorful and eye-catching wall covering from Eiffinger. The subtle pops of gold with the vibrant teal background really set this space off, providing a rich backdrop with a whole lot of GLAM!